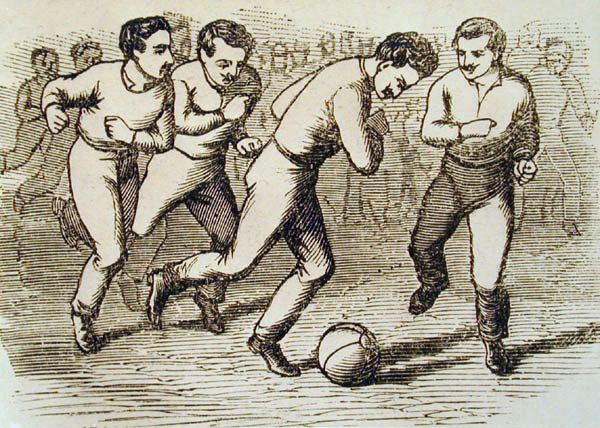 A black and white illustration depicts a group of men playing soccer. Four men are in the foreground, one of them kicking the ball. This image was published in the 1879 text Atlétikai Gyakorlatok by Molnár Lajos (1857–1905). This is the earliest known depiction of soccer (association football) in Hungary.